October 12, 2012 the Makeup stuff., the Me stuff. 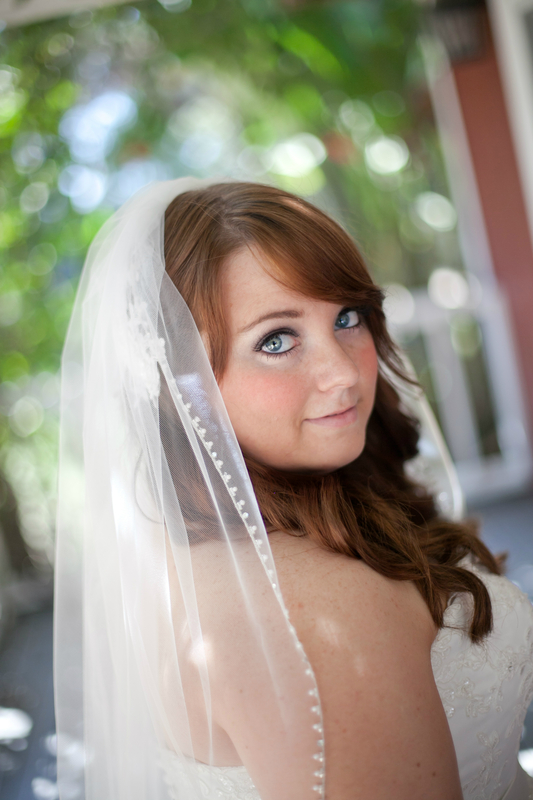 My beautiful bride Michelle … or, my bride that looked like Ariel. Michelle (or Meesh, as I’ve known her for a few years now) has probably one of the greatest senses of humor you’ll ever encounter. I’ve loved and known Meesh since high school, and the first thing I can remember doing around her is laughing. Trust me- there’s nothing like finding a friend who can belt Duran Duran’s Rio at the top of your lungs together with you in high school, and my relationship with her has remained relatively similar all this time. Meesh is resourceful and creative as a friend, and cheerful and outgoing in her nature. It was a blessing to have her stand with me as a witness to my own wedding vows, and it was an honor to be there for hers. 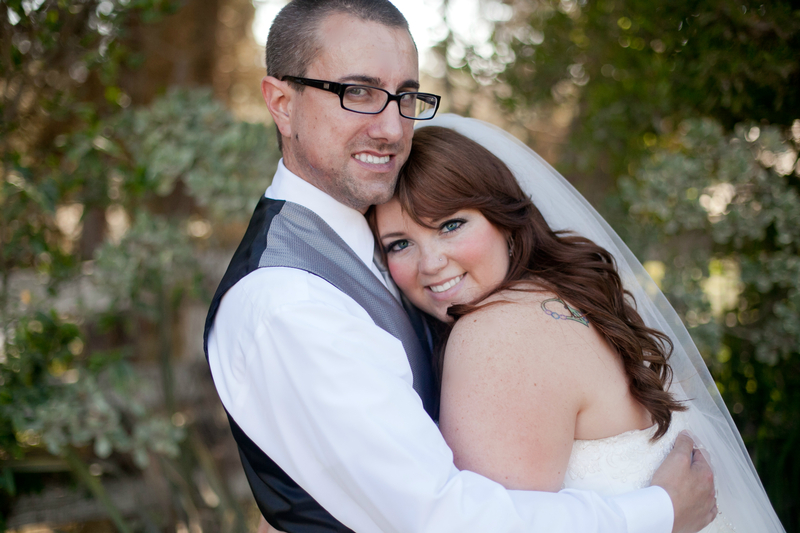 But what concerns me here the most, of course, is the pleasure I had in doing her bridal makeup! 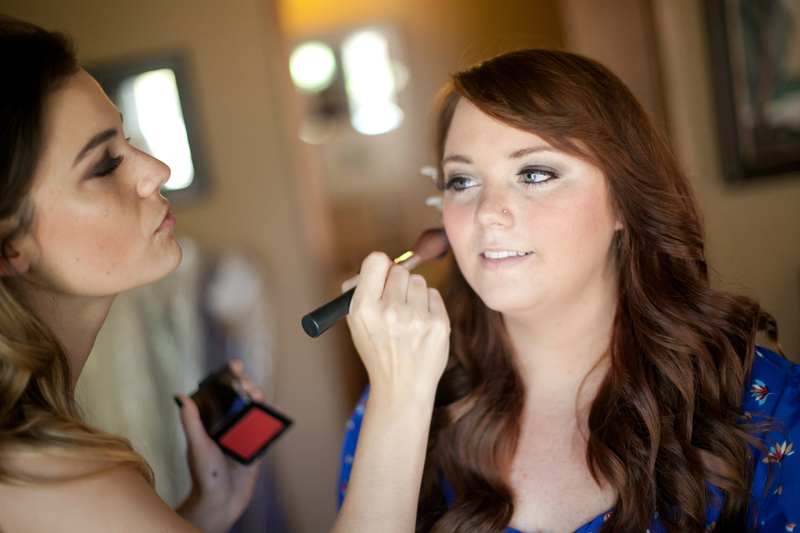 Meesh has some awesome facial features that I was so excited to highlight for her wedding. She has huge blue eyes, adorable cheeks, and beautiful princess hair. Meesh requested that we use a very bright blush I own for her day- NARS’ Exhibit A, which actually is the product that served as the inspiration for this blog’s title! 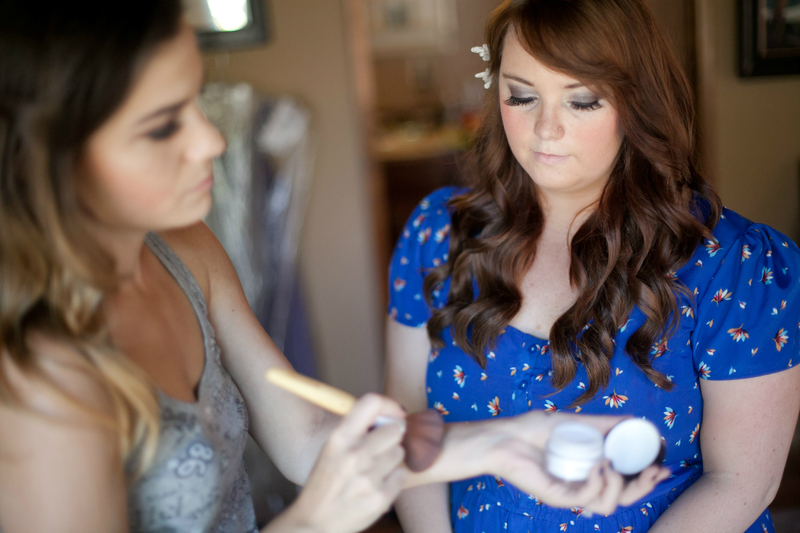 This blush was perfect for complementing Meesh’s beaming expression that she carried with her all day. For her eyes, I used an ultra-flattering Chanel shadow in Taupe Grise’ and a MAC shadow in Embark for deeper contouring. I applied some gel liner (Bobbi Brown‘s, of course) to her upper lids and on her inner-lower lids, and then applied some awesome false lashes (which Meesh is a huge fan of on a regular basis). For lips, we kept it simple and I applied a basic, clear gloss from Chanel in Plaisir. The right shade of Bare Minerals also perfected her overall complexion- I swear by that stuff for life, there’s no greater product that I’ve found for any skin type or tone. You can trust it for your wedding day, without a doubt. Top it off with some MakeUpForEver HD Finishing powder (as I’ve used on every bride), and we’re good to go! She looked like Ariel! Stunning!! Meesh and Justin’s wedding day was in August, and I’ll always remember it as one of the hottest days in which we’ve had to remain somewhat pretty throughout its entirety. After dancing, sweating, and running around through all the excitement that weddings bring, I have to say that Meesh held up like a champ! Her hair, her makeup, everything- it all hung in there, and I was really worried about the stability of my makeup under such heat. In fact, I’d say we all did pretty well! 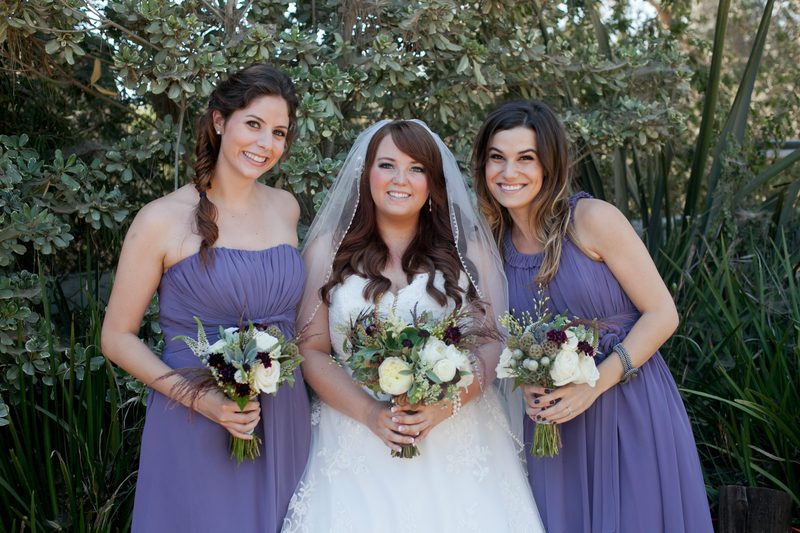 Whitney, my April bride, was a bridesmaid for Meesh as well! I kind of “coached” her in applying her own makeup so that I could keep my hands free for the bride, and Whit did a beautiful job on her own. She’s really been picking it up! All photography is credited to Amanda Doublin. 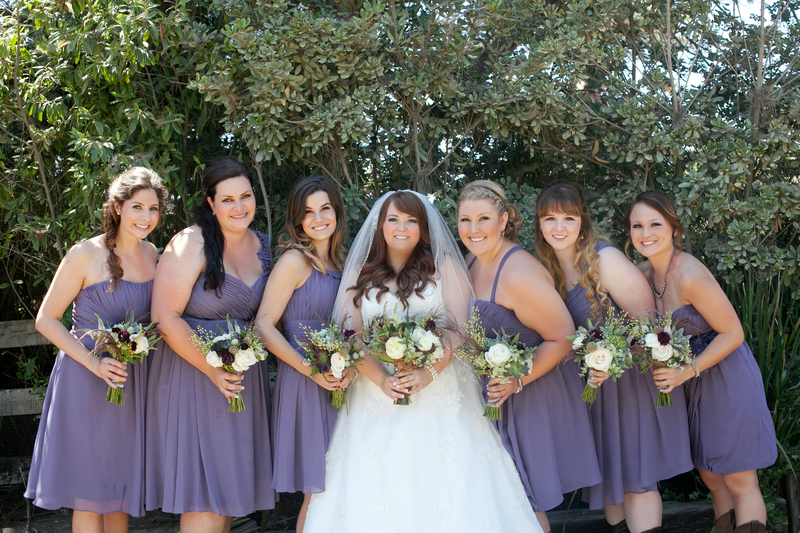 For more of her work and a full post on Meesh and Justin’s day, check her out at http://www.amandadoublin.com.